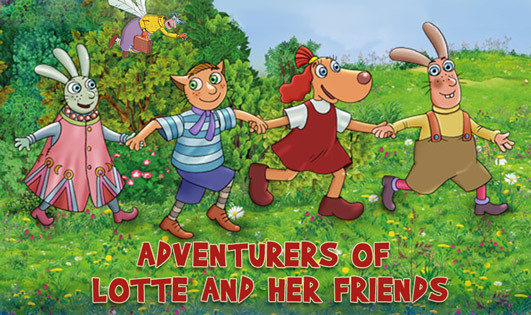 Lotte is a little dog, she has family, bunch of friends and actually the whole world. There are few books, theme park and three full length animated feature films. The stories are wonderful, full of humor, kindness and positive inspirations. It's made in Estonia and Latvia by few local animation studios and actual stories are quite unique. Songs are great and performed by popular local bands. Even though the quality of animation, characters and plots are top notch, and translated to several languages the marketing is quite poor, so it's rather unknown in the rest of the world. All three are great, suitable for kids from age of 2.5 and fun to watch for animation loving adults. There is no one plate to point to, I guess their theme park site is the most encompassing one.